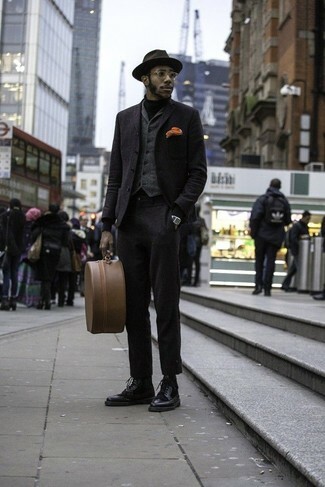 Try teaming a black wool blazer with a charcoal wool waistcoat for a classic and refined silhouette. Break up your look with more casual footwear, like this pair of black leather brogue boots. 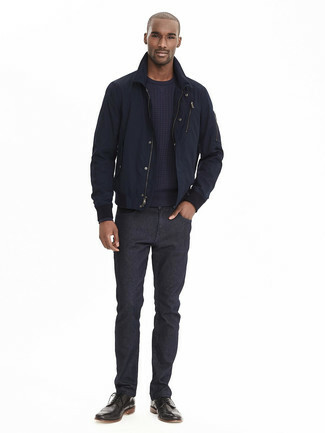 If you're after a casual yet dapper getup, consider pairing a navy bomber jacket with black jeans. Both items are totally comfortable and will look great together. Channel your inner Ryan Gosling and choose a pair of Grenson fred brogue boots in black leather from Asos to class up your outfit. As you can see here, being a dapper dude doesn't take that much work. 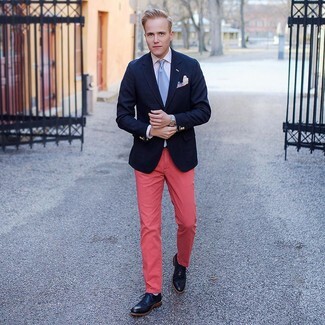 Just go for a navy blazer and hot pink chinos and you'll look amazing. 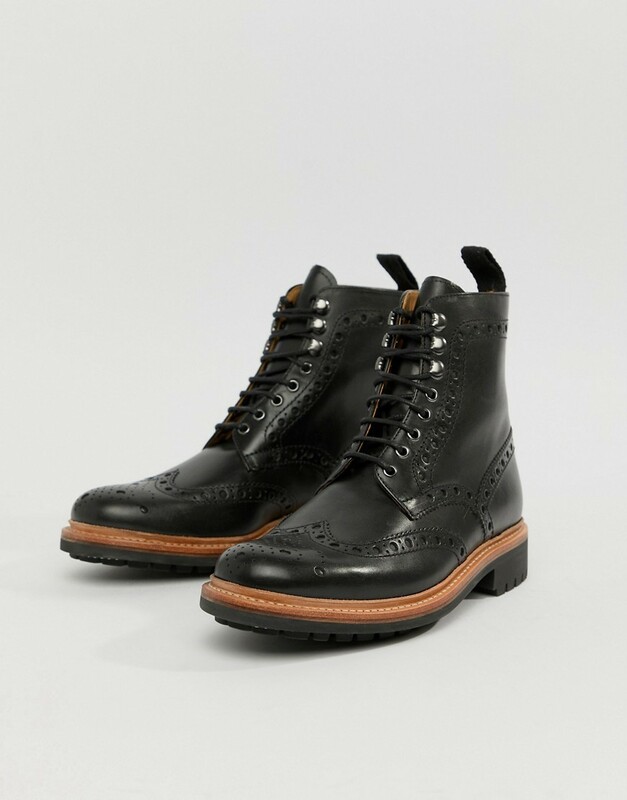 Grenson fred brogue boots in black leather from Asos work amazingly well here. If you're searching for a casual yet on-trend ensemble, team a grey blazer with blue ripped jeans. Both pieces are totally comfortable and will look great paired together. Kick up the cool of your outfit by complementing it with Grenson fred brogue boots in black leather. For a casually elegant ensemble, reach for a grey knit blazer and navy chinos — these two pieces go nicely together. Tap into some David Gandy dapperness and complete your ensemble with black leather brogue boots. 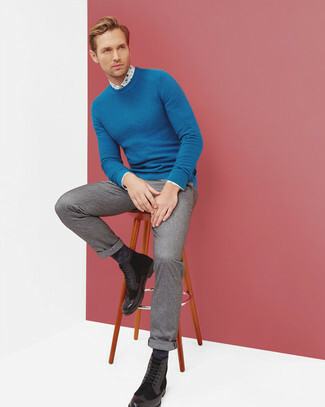 Try pairing a blue crew-neck sweater with grey wool dress pants for incredibly stylish attire. Break up your outfit with more casual shoes, like this pair of Grenson fred brogue boots in black leather. 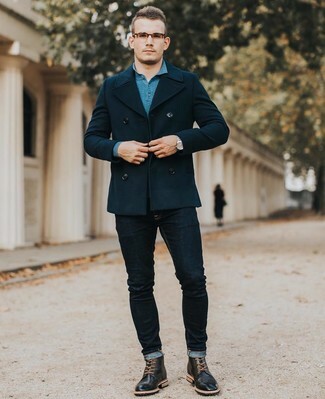 This is definitive proof that a navy pea coat and navy skinny jeans look awesome when you pair them together in a casual outfit. 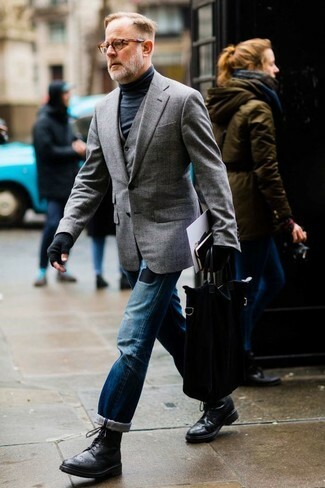 Kick up the style factor of this getup by slipping into black leather brogue boots. The best choice for a neat casual getup for men? A navy shirt jacket with blue skinny jeans. Wondering how to finish your outfit? Wear Grenson black leather brogue boots to spruce it up. 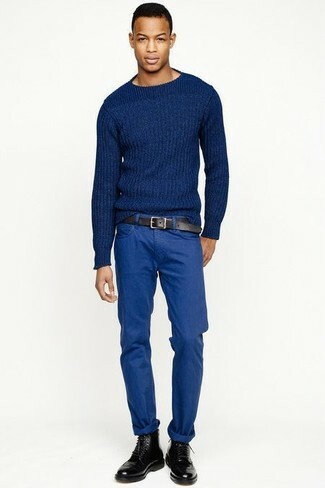 If you're hunting for a casual yet sharp outfit, reach for a blue cable sweater and blue chinos. Both pieces are totally comfortable and will look great paired together. 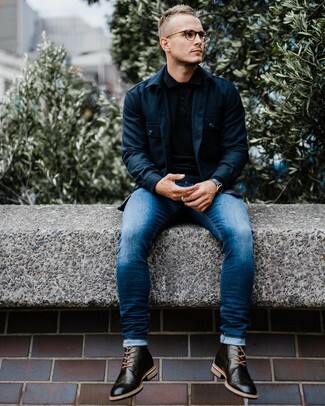 Rocking a pair of Grenson fred brogue boots in black leather is a simple way to add extra flair to your outfit.